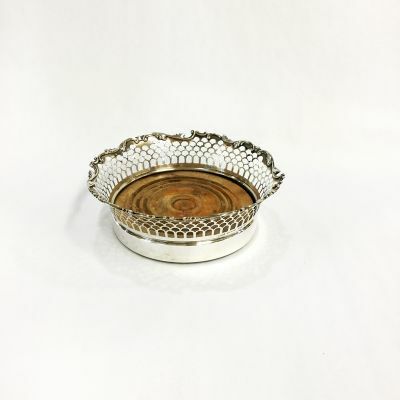 A beautiful antique sterling silver bottle coaster by Gorham, circa 1880. It is approx. 4 inches (10.56cm) in diameter (base).